Texas Gov. Greg Abbott revealed a 40-point plan at Dallas Independent School District headquarters on Wednesday to "make our schools safer and our communities safer" in the wake of the Santa Fe shooting, the Dallas Morning News reports. The bottom line: This keeps happening, and state officials are under the microscope to come up with a solution. Abbott said that his plan is "a starting point, not an ending place." He's proposing $110 million in total funding. He pitched requiring gun owners to report lost or stolen firearms within 10 days and initiating a "red flag" law which would let school employees, family members, a district attorney, or law enforcement "file a petition seeking the removal of firearms from a potentially dangerous person," after legal due process, DMN reports. 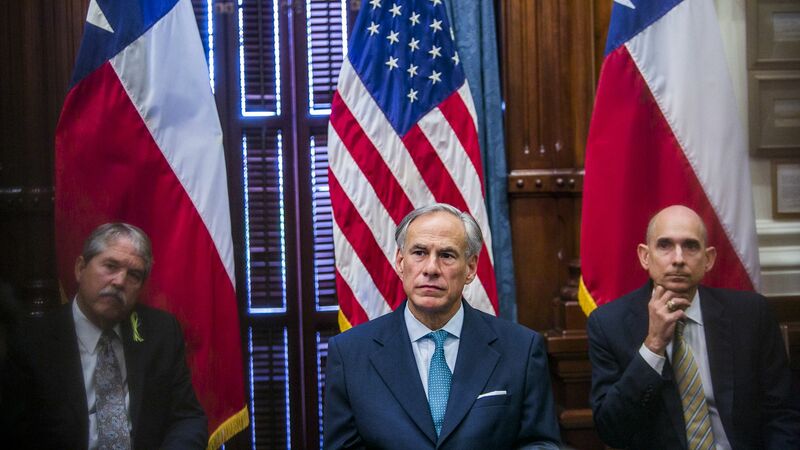 Abbot plans "to boost current campus security programs, increase firearm safety, provide mental health evaluations...providing free gun locks for Texans who want to keep their firearms safe and more," the Fort Worth Star-Telegram adds. He wants to allow each individual district choose solutions that work best for them and their community, per the Star-Telegram. Sen. Ted Cruz said, after speaking with students on gun violence and school safety, the Telegram reports: "It was striking what the students said. Each of them in that room said, 'Gun control is not the answer.' ... The number one answer they gave both in Santa Fe on Friday when I was there, and then at the roundtable with the governor, was more armed police officers in the schools."